Once again, the Tour de Taiwan is upon us. It is usually a time when I can sit back, roll my eyes at the anaemic route selection, debate if I should even bother writing anything about the race, then end up dicking on it for blog content. Though, some years it hasn't really been worth even blog-fill status. 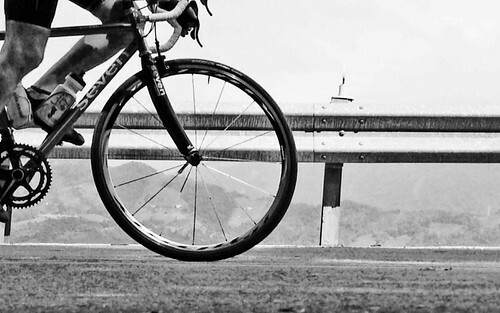 It is usually the same or similar routes that cover the some of the least inspiring roads and landscapes Taiwan has to offer, while barely offering a challenge to thin out the skilled riders from the hangers-on. Some routes even sent riders into the gloom of industrial Dajia to pay homage to Giant Manufacturing, leaving way too much on the table and again failing to show an international audience why Taiwan is a top tier cycling destination. With the 2016 iteration of the Tour de Taiwan looming (March 6 - March 10), I thought I should take a look at this years's offering, and I was surprised to see something a bit different. It is by far not the perfect route and still has a lot to complain about, but it is something that does actually have some merits that I can highlight between sighs, eye-rolls and exasperated exclamations of, "whatthefuck!" The first stage of the TdT is usually a short criterium or time trial to leave room for opening ceremonies and an opportunity to promote the race in a highly visible area. Taipei would be that area. The first stage of the TdT fits the bill. It is pretty much a circuit along Ren Ai Rd. from Taipei City Hall to the National Taiwan Museum and back. 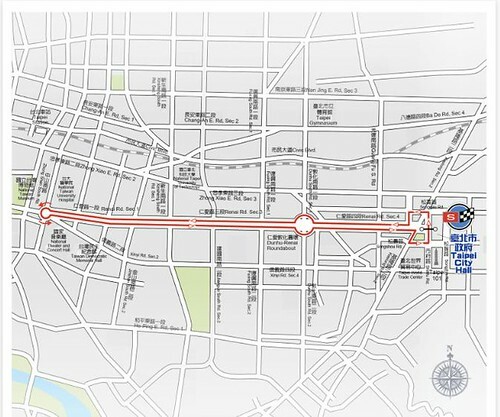 Between straightaways there are two roundabouts and the more technical navigation of the city hall building, where there will be three opportunities to pick up points for the sprinters in the bunch and probably where the action will be. If the pace is hot it could be a fun opening, but it could also become an over adorned warm up lap. Usually the first stage seeks to establish some kind of order in the peloton. This is, by far, not the most imaginative route and has few surprises. What is there to say... it is a one-road loop. 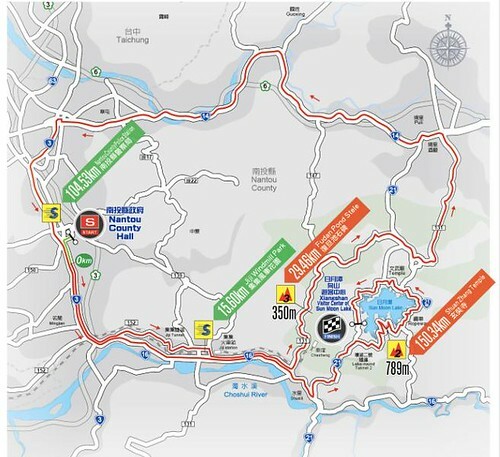 The second stage will also be rather short, coming in at 116km, but will provide something a little more interesting than a criterium. Stage 2 starts off on the historic Tamshui area and then follows the No. 2 Coastal Highway to Wanli. The Highway 2 follows a series of low rollers long the windy northern coast toward Keelung. 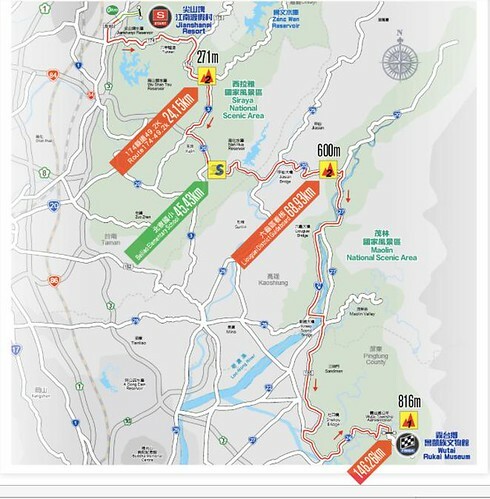 Riders will have to perform a loop on the 北15 before tying a knot out in Wanli where they will have the chance to pick up points on the sprints and the battle of the KOM will officially get started. It is hard to call it s KOM with a 71m climb, followed by a 361m climb on the 北28. After doubling back for a second sprint at the same place, the riders follow the coast back to Baisha. 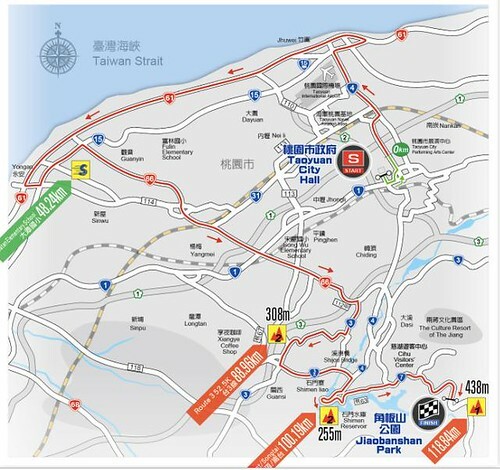 What I like about this stage, is that the route crosses in several locations to add a little flair to the map, and it also incorporates some local routes aside from the provincial highways, which proves the point I have been making for a long time---That Taiwan's best local roads are capable of supporting a competitive stage race. They are wide enough, safe enough, and smooth enough. What really annoys me about this section, is that with so many amazing roads that cut through the old Yangmingshan volcano, the route planners insist on covering the same ground by doubling back over the route in return. The planners could very easily have stuck a real climb into the route and had the riders charge over the mountain before cruising back into Basha. It could be a sand to summit affair. In general the planners seem to have forgotten that most of Taiwan is mountainous and kept the climbs about as intimidating as a petting zoo. It is the third stage of five and the race has still not moved out of the top eighth of the country. This is because the area around the Taoyuan International Airport is so captivating and because fumes from jet fuel are so invigorating they could not resist hosting a race to advertise the tourism potential of the Taoyuan Areotropolis--a disaster in the making (HERE)--rather than directing the race into the foothills between Taoyuan and Hsinchiu. In this case it appears the luscious asphalt of Hsinchu and Miaoli counties will be left to be enjoyed by the local amateur riders who know how to enjoy them. The TdT route through Taoyuan is essentially the same as last year with a gradual increase in altitude, providing three opportunities for KOM contenders to grab a few points after the sprinters have had their fun way back near the coast. Now, I must admit, I do think the area around the Shimen Reservoir is a pretty place to cycle if you have to pass through Taoyuan. The final KOM offers 438m of altitude--another relatively small climb for Taoyuan, but I am sure the contenders will make a meal of it. If the race organisers could just dispatch with the part of the race that involves cycling on expressways and stick to the more exciting roads of the interior. Living in central Taiwan, I tend to hate on the central stages the most, This time it isn't the case. I can see the logic in this. Starting at Nantou City Hall so that all the Bigs can be seen looking important, the race heads down probably the worst section of the Highway 3 south of Taoyuan. The entire stretch through Nantou is just a pit. I would have suggested leaving Nantou on the 139, which would go through Jiji anyway. I know the are trying to work in the Route 152 bikeway, where tourists pump pedal cars and rentals among shady trees and train tracks. I can't remember if there are places where old rail lines cross the road or not. Something to watch out for. The greatest innovation here is with the use of the Route 131. It is not exactly the most challenging road into the Sun Moon Lake area. It is actually a quiet little road that allows a rider to slowly climb without having to confront harder climbs on the other routes. This again shows that smaller roads can support this race. The route returns to Nantou on the Highways 21 and 14. These are both favorites of the Taichung triathlon community. They are wide, smooth and direct. There are a couple of short, but annoying climbs coming out of the Highway 14 into Cautun. The route loops back through Nantou because it is so nice they need to ride it twice. Then the riders are directed into Sun Moon Lake on the Highway 21. The Highway 21 is not a bad road. It is not my favorite road into the area, but it has a bit of a grade and it traverses the jungle around Shuili. Since Taiwan has to advertise Sun Moon Lake, and stage racing has been married to tourism since the very beginning, this is one way to work Sun Moon Lake into the equation. Stage 4 has two opportunities each for the sprinters and KOM. At 789m, the climb over by that silly concrete tower will have to suffice. Again, there are better roads, but for the TdT, this actually isn't the usual offering. The fifth and final stage in the TdT is another route of respectable distance in an area that shows a little more imagination that the circuit racing or years past. The fifth stage immediately runs headlong into the endless foothills of Tainan's gorgeous reservoir district. I was just cycling through that area, so my memory is fresh with the feeling of being slowly beaten down over a day of punchy climbs. The route passes through Yujing to the much larger Highway 3 and then the Highway 20. The route to Jiashain is nothing spectacular. It is straight and flat. I imagine that is why they put a sprint in there to wake up the peloton. The climb to Liugui is enjoyable with a few corners on the descent. What really perplexes me about this route is the ridiculous idea to avoid the Highway 27 on the southern side of the river. The only explanation I can imagine may be to arm photographers with zoom lenses to snap amazing photos of the riders passing in front of the looming misty haystack mountains that line the northern bank. Otherwise the Highway 27甲 is in worse condition and much uglier than the tree covered pastoral beauty of the Highway 27 and its superior scenery. The other innovation of this route is to hug the hills and then finish the race with a climactic KOM bid into the Rukai village of Wutai before the road falls apart. Again, the climb is a mere 816m, which is a mere coffee and cake climb in Taiwan, and would be better mid race. 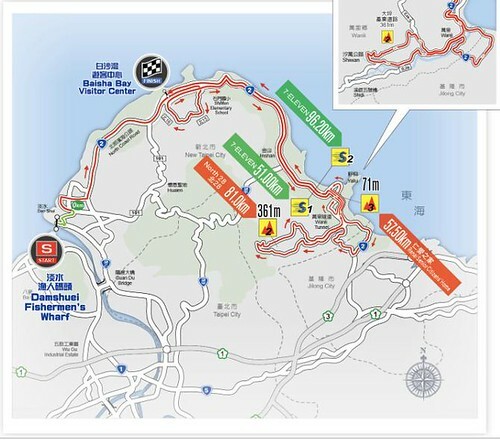 The 2016 Tour de Taiwan offers several improvements in offering more scenic and creative routes to maintain spectator interest if it is televised. The organisers seemed to shy away from any of Taiwan's iconic climbs to make a distinction between the Tour de Taiwan and the Wuling KOM. It still seems they left way too many routes on the table and failed to really include a nasty climb like last year's inclusion of the Highway 21 route to nearly 3000m on Alishan. Moreover, the 2016 TdT spends most of the race confined to the greater Taipei area while neglecting most of Taiwan--especially the foothills of Hsinchu County, Miaoli and Taichung. The Highway 21 from Taichung to Puli would make a great addition in the future. At five stages the Tour de Taiwan is a little short for the available riding. I would like to see another stage or two to increase the drama with maybe a team time trial to really encourage the display of the teamwork that goes into stage racing. In looking at the teams, I am again reminded of the past troubles we have had with allegations and implications of doping and dopers in the TdT peloton. The Iranian teams and VINO 4-Ever-SKO seem to be constantly battling the aura of scandal swirling around their teams. Looking at last year where the top places were all grabbed by riders who had previously served a ban for doping. The winner of the KOM was suddenly poised to take it all. This wouldn't have been a big deal. It really wouldn't. The only issue is that Mirsamad Pourseyedigolakhour, the winner of the KOM and eventual winner of the Tour de Taiwan... is a drug cheat. The Iranian cyclist just returned from a two-year vacation for the use of EPO. Another Iranian cyclist to grab the second slot, Hossein Askari, recently served a one year ban for methylhexaneamine. The third place on the GC was also snagged by a drug cheat. Rahim Emamai, who also took the 2013 Wuling KOM, previously served a two-year ban for clenbuterol, a drug known as the asthma medicine of choice than made its way into seasoning Alberto Contador's prime rib. Only Patrick Bevin, the Kiwi of the Avanti Racing Team, made the podium without the dark clouds of a recent doping ban hovering over his head. 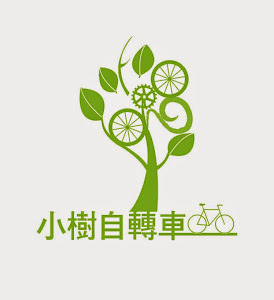 Another disappointment is that Giant, the bicycle company that many Taiwanese take great pride in as a globally recognized bicycle brand, and a perennial sponsor of the Tour de Taiwan, will be headlining a team from China, while its less visible RTS brand will be represented by Taiwanese riders. UnitedHealthcare Pro Cycling Team / U.S.A.
Skydive Dubai Pro Cycling Team / DubaiTeam Illuminate / U.S.A. I just hope everyone has a safe and welcome stay in Taiwan. Hopefully some of the riders will return and discover what the TdT won't let them see.